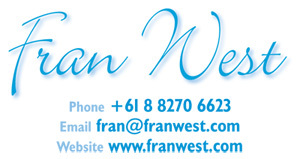 Fran West is an award-winning pilot, adventurer, author, photographer, inspirational speaker and creator of products for aged care. She is Australia's Life Pilot, inspiring others to pilot their own lives and navigate their way to success. Through her writing, speaking and photography, Fran draws on her adventures and uses powerful demonstrations to offer people practical ways of achieving goals. She also uses her photography to enrich the lives of those in aged care, particularly those with dementia, and has created a separate website for Best Dementia Help. After a radical career change in 1999, Fran became the first woman to pilot a light aircraft around the coast of Australia. In her book, Plane Reflections: about life and a flight around Australia’s coast, Fran shares her experiences accompanied by stunning photographs of Australia’s remote coastline. Her second journey Sea, Sky and Sand in 2002 celebrated the Year of the Outback and the 200th anniversary of Matthew Flinders’ and Nicolas Baudin’s sea voyages. Through this journey, Fran raised much needed funds for the Royal Flying Doctor Service. In 2008 Fran piloted in the mountains of Alaska, photographing the spectacular scenery. These flights and her adventures through Annapurna in Nepal and central Tasmania have demonstrated her philosophy - have a go, follow dreams and ADD value to life by having the right Attitude, making Decisions and being Determined to follow them through. 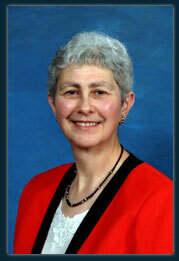 Fran has presented both in Australia and internationally. Her presentations not only entertain but captivate and inspire. They are based on real life adventures and her message of the power of a positive attitude, achieving goals and success can be put into effect immediately.